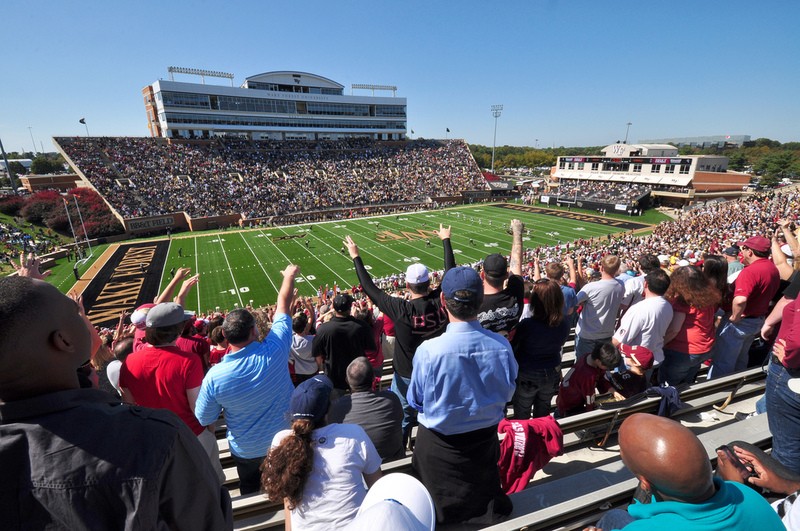 BB&T Field, home of the Wake Forest Demon Deacons, is one of the smallest football stadiums in the Division I Football Bowl Subdivision. 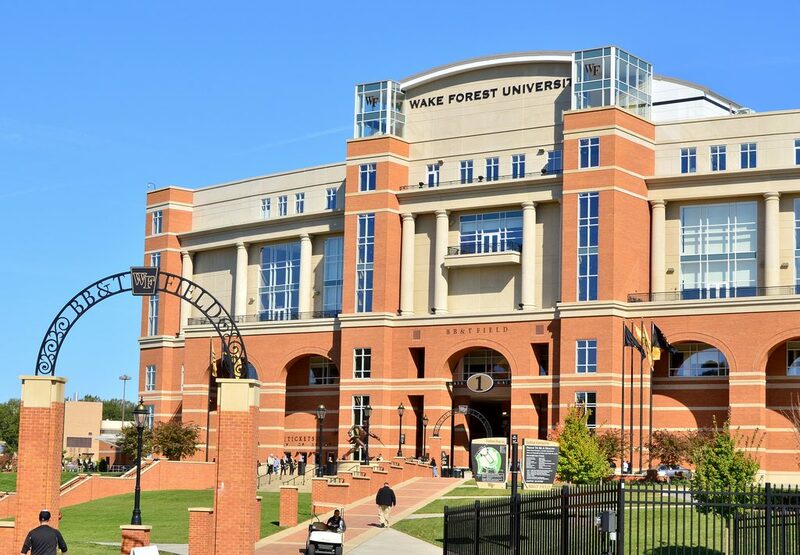 The idea for a new football stadium for the Wake Forest football program was first conceived in the late 1940s when the university moved to Winston-Salem. By the mid 1960s that dream became a reality when Wake Forest decided it was time to build a new stadium for its team. Until its completion, the Demon Deacons played at Bowman Gray Stadium. Constructed at a cost of around $4 million, the stadium was completed by the 1968 football season. The stadium was originally named after football supporters Henry and Earl Groves but has recently been renamed after BB&T Bank purchased the naming rights. The inaugural first game at BB&T Field was on September 14, 1968 when the Demon Deacons hosted NC State. Located off campus, the stadium has a seating of 31,500. Two single tier grandstands are located on both sides of the field. Fans can also relax in the sun on a grassy knoll on the south end of the stadium where the scoreboard is also located. Located atop the grandstand on the west side is the press box and some luxury seating areas. Over the past 35 years BB&T Field has changed very little. In 2006 the grass playing field was replaced with Fieldturf. Nearly $1.5 million was spent building the Bridge Fieldhouse that is located on the north end of the facility. The facade and areas around BB&T Field were refaced with brick giving the stadium a look similar to buildings on campus. In September 2007 BB&T Bank bought the naming rights to the stadium. The university used the money to fund stadium renovations. Completed in 2008 is the Deacon Tower, the latest addition to BB&T Field. Located on the west side of the stadium, this seven story tower houses a new pressbox, luxury suites and club seats.